Leading the way in premium men's grooming for the past decade, Hommage offers some of the best quality shaving products out there for us gents. Their bi-monthly subscription plans allow us to always remain well groomed, and taken care of. When you think about how much time we spend shaving, it makes sense to make sure we're using the best products we can find, and Hommage does this for us. Understanding the needs of the male grooming routine, Hommage have created a well crafted range of products for an effortless clean shave. The main kit shown above features Prime: Shave Oil, Perform: Shave Cream, Soothe: Shave Balm, their Manhattan razor, styptic matches and a towelette. They also include a stand to keep everything organised for your bathroom shelf and a travel case for the razor, should you need to take everything on the go. Coming individually packaged in their own boxes, the products stand out from other services I've used before and arrive in their own compartments in the main Hommage box. The razor itself has a nice, wide handle giving the perfect grip and allowing it to stand on it's end alongside the other products, once you're finished with it. The kit also includes extra blades, making sure you always have the cleanest of shaves over the 60 day period. Let's talk about the products. With all of them, I found a little goes a long way - something I always appreciate. The shave oil performed exactly as I hoped and helped to soften the skin and hair, prior to shaving. This is always an important step I know a lot of guys miss, but this helps prevent any snagging with the razor. The shave creme can also be used sparingly and unalike others I've used, left my skin feeling refreshed and helped the razor glide over the skin with little effort. All of the products carry the brands signature 'Monaco' fragrance, and work well together, to protect your skin with each use. Whether it's for yourself or a a family member, I feel one of the Hommage shaving gift-boxes would make such different to any gents shaving routine. Starting at £30, their bi-monthly subscription boxes will take care of your shaving needs and can be delivered to your home, office or even hotel if you're on the go. 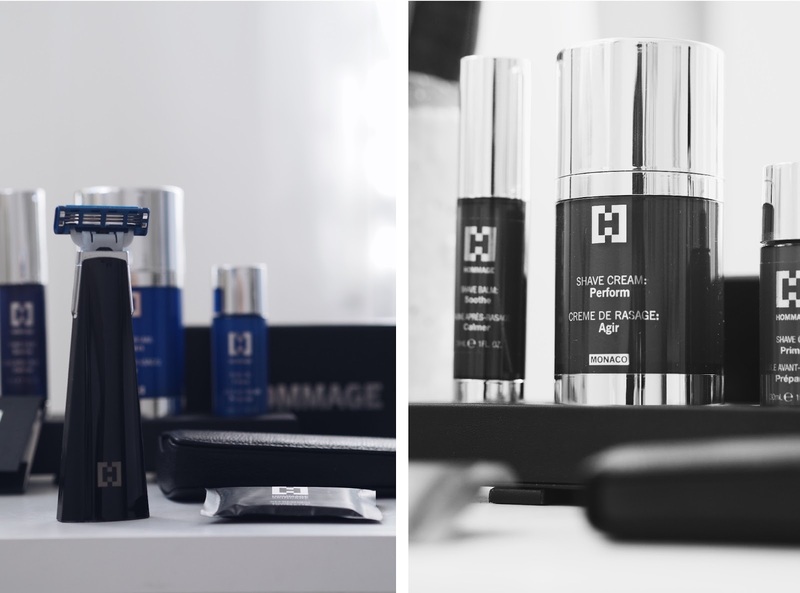 Delivering high standards in the quality of their products, and quality of the finished shave, Hommage have demonstrated how they truly understand the needs of their clients and the male shaving routine.